Welcome to another detailed resort review! 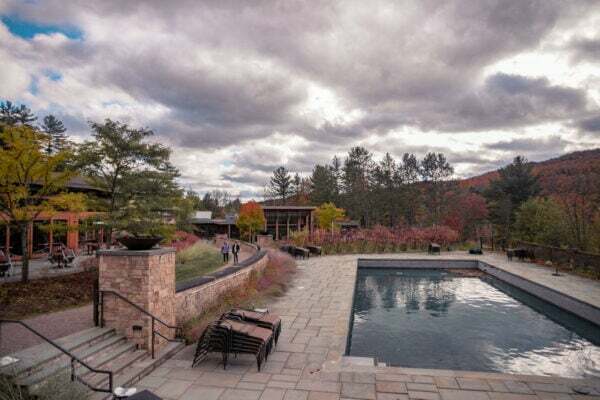 This time, we’re staying at the ultra-romantic and luxurious Topnotch Resort and Spa near Stowe, Vermont. 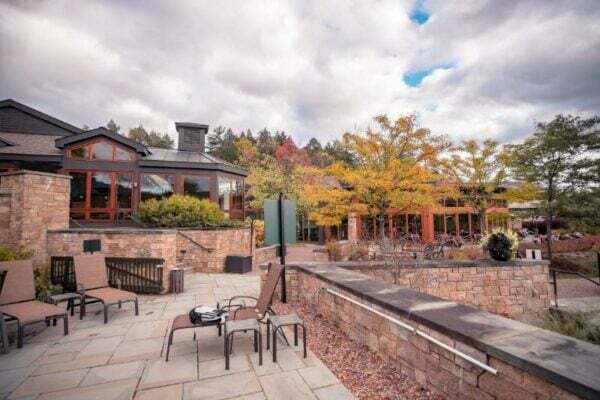 Featured in Forbes Magazine as the top luxury resort in Vermont, keep reading and you’ll find out why! Vermont for me is not just a great place for skiing and chalets. In the fall, the mountain roads and foliage become otherworldly. You’ll see plenty of curvy single lane roads which farm animals grazings on the sides. The nearest small town home to our resort was the town of Stowe, with it’s one blinking red stop light as the major intersection. If a milk truck is causing a traffic jam, then stop for a slice of pie or some Vermont maple syrup. Drive pass the sky resorts and up to the mountains, and you’ll slowly see the trees canopy over the road like a magical fairy tale! There are plenty of waterfalls and brooks on the side and hikers trails as well. Honestly, it felt so good to get away from the city, fast/unlimited wifi and just slow down and connect with the scenes of this charming town. Before getting started, a lot of you asked how we got this shot below. It’s all thanks to Gentle Giants, located right across the road from Topnotch! My first impression was that this resort it literally in the middle of nowhere, as we almost missed the turn off the road. The front lobby and resort grounds appear to be small and secluded, but we had no idea what was coming! 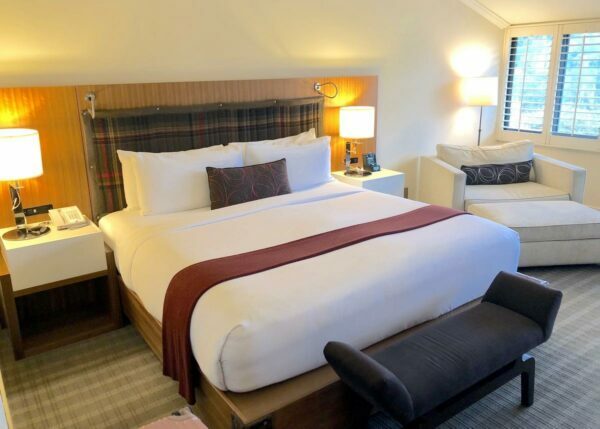 We were complimented with a Deluxe King bed suite featuring country style and contemporary elements. All the amenities within the room lined up with what you’d expect from a luxury resort. The sheer size of the room was a breath of fresh air after being cramped in an airplane and car all day. I immediately tossed my coat on the soft and dropped into the bed! (If you’re coming in from Toronto or New York, I’m sure you’ll appreciate a huge room like this even more). My only wish for the room would have been a design choice that felt less country and more european or chic, but that is my personal preference. The headboard has a flannel pattern because their main restaurant is called Flannel, cute! Speaking of restaurants, we were pleasantly surprised by the quality of the cuisine. The salads were packed with flavour and often came with local seasonal veggies. As for main courses, a fan favourite was the Sesame Seared Tuna; tuna steaks crusted with a toasty layer of big fat sesame seeds. Just be aware that there is only one main restaurant (Flannel) and a bar-style restaurant (The Roost). You may experience some longer than expected wait times at the restaurant. That’s the nature of it when everyone at the resort flocks to the one and only venue for dinner. There were even some nights where we were recommended to get a reservation. Also, the selection may seem a bit small to a diehard foodie. As for pools, are there FOUR. Two outdoor and two indoors. Sounds like a lot right? Well, each one is a bit different and has a unique purpose. 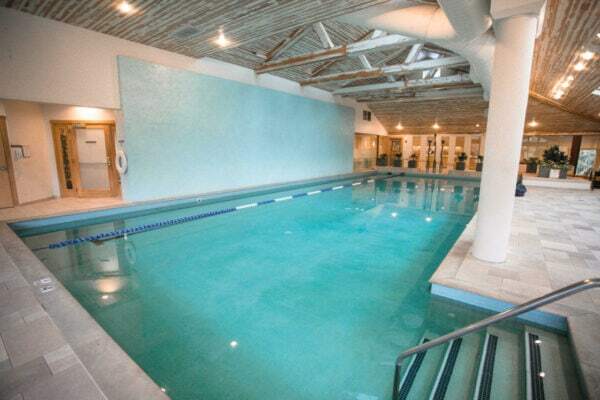 The largest pool is indoor and is a shallow pool for lane swimming and kids. Next to is a classic hot jacuzzi pool, with a sauna nearby of course. Outside the glass wall, there is an elevated outdoor pool overlooking another larger pool. 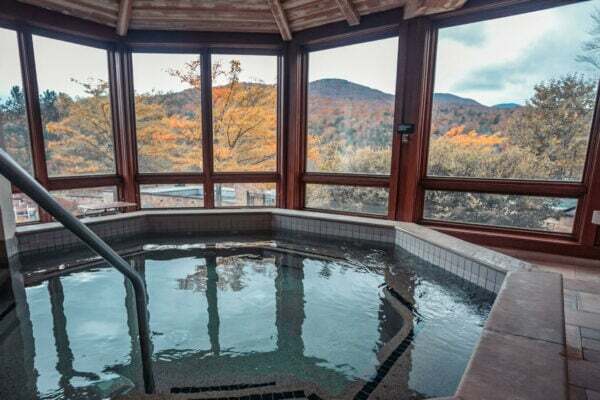 All of it is with a view of the gorgeous Vermont mountain side. And oops, I forgot there is an outdoor jacuzzi as well! I’m beginning to understand how Topnotch earned their name. Rarely are smaller resorts expected to have a proper gym, but Topnotch has TWO. One is a yoga style studio with weights and bars and the other is a fully-equipped heavy weight gym with everything a muscle head would need. So, what actually happened was we thought the yoga studio WAS THE MAIN GYM. We were so used to basic gyms at resorts, we didn’t think to wander and ask twice! Anyway, it was all good because I got a great workout (shameless plug, to get an idea of my workout routines, be sure to search it via my YouTube). I hope you liked this review, please comment below and let me know what you think. If you’re thinking of booking, let me know! Invited by Sandals Resorts. All opinions are 100% my own. Logos owned by Sandals Resorts.